The Treasury – the choices, the challenges. 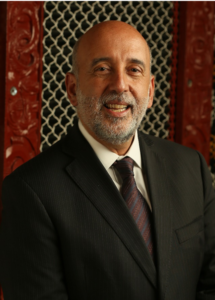 The Treasury CEO and secretary Gabs Makhlouf will outline the key policy challenges and choices ahead for New Zealand at Catalyst Trust’s September 4 event. Mr Makhlouf, who grew up in the Pacific as the son of UN diplomats, will also reflect on the different lens Treasury’s new “Living Standards” framework and his own perspective as an immigrant might provide to both the issues and potential solutions. As the government’s chief economic and financial adviser, he leads Treasury’s work to help raise New Zealanders’ living standards through a stable, growing economy and a high performing public service. Tuesday, September 4, 7:00 to 8:30 PM, The Rees Hotel Queenstown conference room. $5 koha at the door. Registration is required and tickets are available from eventbrite.co.nz – Please bring your tickets to the event (printed, emailed or Eventbrite app). Mr Makhlouf’s previous career was in the UK civil service, where his responsibilities ranged from tax and welfare policy development through to large-scale, customer-focused, operational delivery. He was Chair of the world’s main tax rule-making body – the Committee on Fiscal Affairs – at the OECD in Paris, 2000-2004, and was also responsible for the UK’s Government Banking Service. Mr Makhlouf led the UK team that negotiated the current US/UK double tax treaty and served as Principal Private Secretary to the Chancellor of the Exchequer. He has a Bachelor’s degree in economics from the University of Exeter, a Masters in industrial relations from the University of Bath and is an alumnus of international business school INSEAD’s Advanced Management Programme. He joined NZ Treasury in 2010.